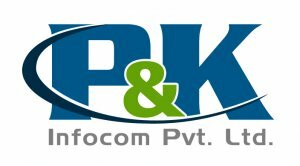 We are Australia based web designing company having development centre in ahmedabad at thaltej, named "P and K Infocom Pvt. Ltd."
We urgently require a content writer for our company. Content writer able to write and edit content and articles for the websites. - Must have excelent written skill in English language. - Write content & develop documentation to support printers and multifunction devices (MFPs). - Simultaneously work on multiple projects with multiple priorities and deadlines. - Scope workload, help develop schedules, track and report status to ensure on-time delivery of final files. - Ensure that milestones and deliverables sync up with other development team dependencies and deadlines for items such as user guides, control panel strings, instructional movies, etc. - Leverage previous content; refer to specifications and use prototypes to develop new content. - Leverage existing shared content whenever possible to minimize translation costs. - Collaborate with editor, other writers, and illustrators to share content and art requirements. - Provide QA help websites on all supported browsers and in all languages to ensure help compatibility across platforms and browsers. At least 10 months of working experience is required in relevant field.